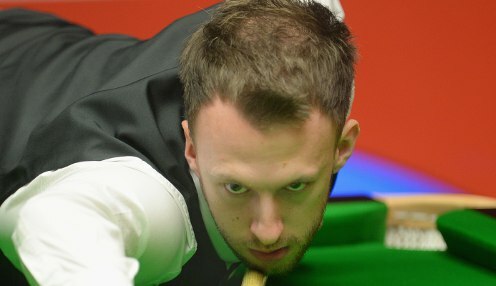 Judd Trump leads an out-of-sorts John Higgins 5-3 overnight in their World Championship quarter-final at the Crucible. The Ace in the Pack is chasing revenge in what is a repeat of the 2011 final, when Higgins won an epic clash 18-15 to pick up his fourth world title. They've not met at the Crucible since, while Trump has not reached the last-four in Sheffield since either. Scotland's Higgins edges the overall head-to-head, having won 11 of their 18 meetings previously. Trump scored an early psychological blow in the third frame, trailing 57-1 before a break of 58 allowed him to steal the frame and go in front 2-1. From there the 2011 UK Champion compiled runs of 100 and 71 either side of the mid-session interval to move into a commanding 4-1 lead. Higgins, who looked out of sorts, battled to reduce his arrears to 3-4 but it was Trump's break of 77 that ensured he held the overnight lead. The pair return for eight more frames in their best-of-25 on Wednesday morning at 10am. Trump is 1/1 to win the match, with Higgins now 1/1. Mark Williams and Ali Carter finished their first session tied at 4-4 on Tuesday afternoon. The Welshman, twice before a winner at the Crucible is 1/1 to win a semi-final spot.